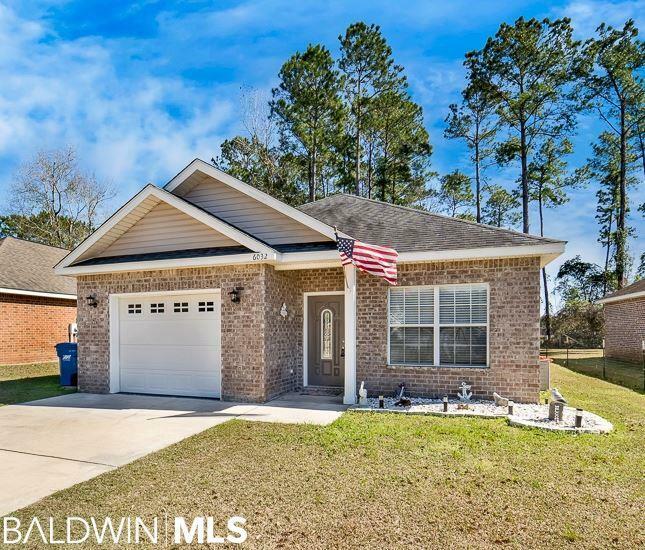 Pride of ownership is evident in this affordable home in Gulf Shores. Take advantage of the soon to be city schools at an affordable price and a convenient location. Close to parks and I-59. Clean neighborhood with large common area.Great room has wall space for furniture and big screen TV. You will enjoy cooking in this beautiful kitchen that has stainless steel appliances, gorgeous raised panel custom cabinetry, granite, breakfast bar. The flooring is extra special throughout with wide plank laminate wood look, no carpet. Brick, one level with split bedroom plan. screen porch, sprinkler system. Whole House water purifying system. Priced to sell quickly. Directions: From Hwy 59 At Foley Mall, Travel South On 59, Turn Right Onto Oak Rd/Hwy 6. Turn Left Onto Albray Dr. To Dead End Into Trey Lane. Home Straight Ahead.